for a 21st birthday party or a cosy studio for an intimate 1st birthday party, Venuerific has the ideal event spaces to match! Going to a party is fun but organising one can be quite troublesome. 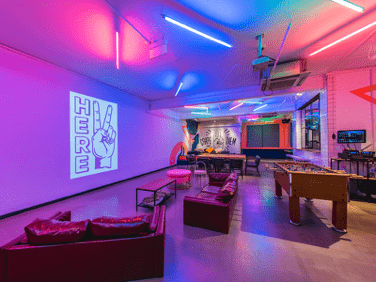 Venuerific has a list of venues that will make it easier to plan a party, whether it be a kid’s birthday party, a 21st birthday party, a 50th birthday party, or even a small birthday get-together. 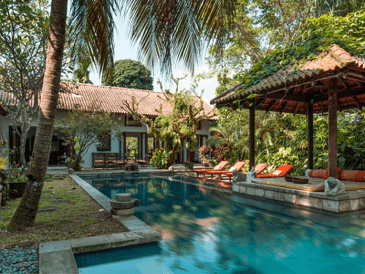 Discover venues like private Balinese bungalows for a pool party, rustic and industrial lofts with entertainment facilities for an exciting party, and other unique celebrations. From buffet set-ups, entertainment features such as karaoke machines, foosball tables, poker tables, and darts, Venuerific venues are well equipped to provide you the best party experience possible. 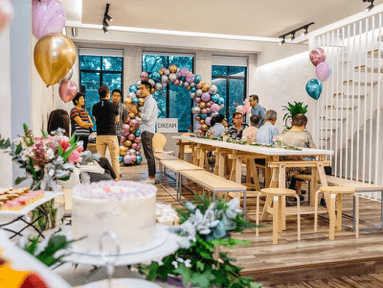 Throw a phenomenal party at one of the most unique dining venues on Venuerific, be it a 21st birthday party with rooftop bbq, a jungle themed kid’s birthday party, a 1st birthday party or a Christmas get-together. There is a wide selection of cafes, restaurants, and bars that are able to cater to all sorts of private events. With your catering snd set-up needs all taken care of by the venue’s events team, you can walk in stress-free to your party. Let us help make your event venue search an easy process. With the filter option on Venuerific, you can definitely discover the perfect dining event venue to meet all your hosting needs.